To hire a pianist for any occasion or event, care home entertainment or accompanying for exams, please see below. We look forward to hearing from you. 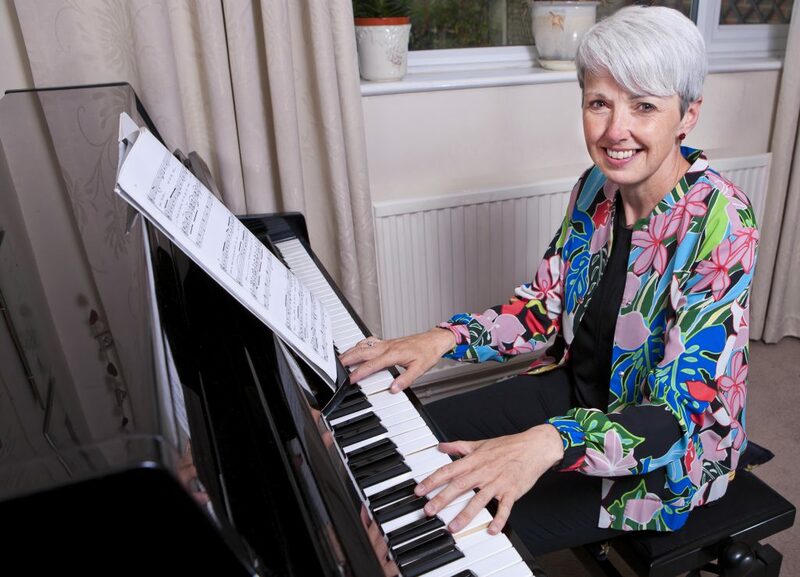 Paula and Hilary are both very talented piano players; they were very helpful with my ABRSM cello exams and helped me pass. Paula accompanied me on the piano in my grade one and Hilary did the same in my grade three. A couple of days before my exam Paula and Hilary both gave me the chance to practice with them. After that I felt much more confident. On the day of my exam, they came twenty minutes early and had another quick rehearsal, as well as that they helped me stay calm and relaxed. In the exam they were very professional and it was clear that they had lots of experience. I would highly recommend Paula and Hilary for your exams. They are both brilliant piano players and know how everything works in the exams. Tilly ~ aged 11. Do you need a pianist? Book one of our highly qualified pianists for a professional service. MusicSmart can provide accompanists for all graded examinations, GCSE and “A” Level Performance examinations, school concerts and shows. • Grades 5 – 6: £45.00 to include one rehearsal and attendance at the examination. • Grades 7 – 8, GCSE and A level Performance Accompaniment: Fees on request after initial telephone consultation. Extra rehearsals will be charged at our hourly rate by arrangement with MusicSmart. Would you like a pianist to create a relaxed atmosphere at a party or luncheon? We are always pleased to include favourite music to appeal to your guests. We also very experienced at providing bespoke music for funerals and wake receptions. Your venue does not need to have a piano as we can provide gentle, beautiful music with our excellent electric piano. Email or telephone Hilary or Paula with your ideas and to see how we could help. Hilary and Paula would love to provide entertainment for your residents, taking them on lovely musical journeys through their past. Just sit back and enjoy or sing along!